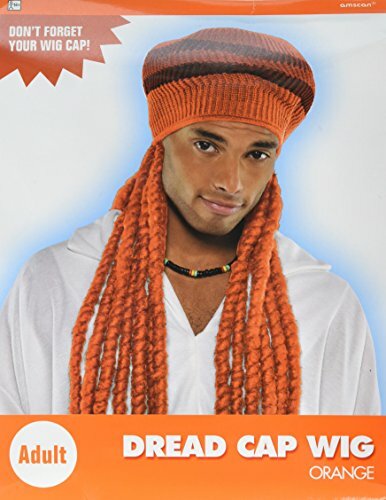 Get the Rasta Reggae party going and standout wearing our Dreadlock wig with tam cap in orange. Perfect for any special occasion, party or events to complete a costume or get up. Includes oversized tam cap wit attached dreadlock wig. Comes in a bright orange color. Measuring standard size. Fits most teens or adults. Hand Wash cold and line dry only. Party Hair Toddler Size, Blue Straight up In The Air Wig, Emulate Your Favorite Characters!